She encourages kids to be unique! Above all, Nancy marches to the beat of her own drum, and she inspires kids to do the same, especially when it comes to being fashionable. Fancy Nancy likes turning the ordinary into the extraordinary. She doesn’t shy away from accoutrements (that’s a fancy word for “accessories”), and she encourages kids to get creative with their own outfits. 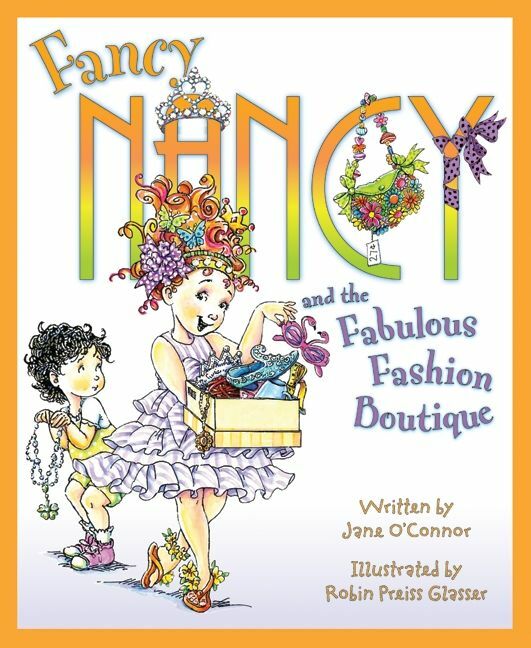 In Fancy Nancy and the Fabulous Fashion Boutique, Nancy hosts a très chic boutique where you can find the fanciest almost-new outfits and accessories. But it’s also Jo-Jo’s birthday, and when it starts to rain, the party might be ruined. Of course, Nancy saves the day by showing once more that if you go out on a limb and take a risk, a little improvisation can turn a fiasco into something fabulous. Being different can make some of us feel self-conscious. But Nancy is quick to celebrate her friend’s differences, especially when it comes to fashion. 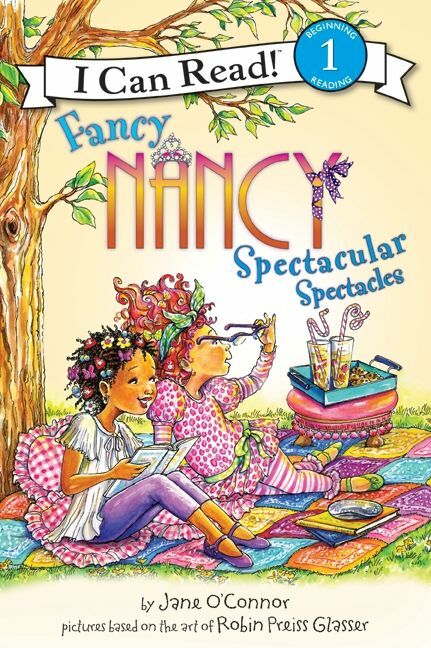 In Fancy Nancy: Spectacular Spectacles, Nancy thinks that her friend Bree’s new glasses are simply spectacular. How could she not? They are lavender and glittery. So, when Bree tells Nancy all about her trip to the eye doctor, Nancy can’t help but wonder if her own eyesight is perhaps getting a little blurry too. Nancy is supportive, and even a little envious, of her friend’s differences. She shows that a little bit of “ooh la la” can go a long way. As we’ve mentioned before, Nancy is pretty resourceful. You don’t often see her asking her parents to buy her new clothing or treats. Instead, she uses things she already has to embellish her look so that she always looks magnifique. 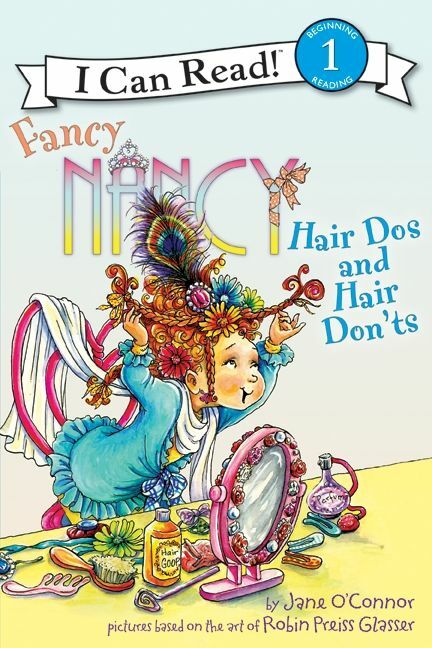 In Fancy Nancy: Hair Dos and Hair Dont’s, Nancy prepares for picture day. She’s chosen her outfit but knows that something as simple as a hairstyle can go a long way. In a “don’t try this at home” move, she reaches for the scissors. But never fear, when her hair is too short, Nancy doesn’t lose confidence, but throws on a scarf and doesn’t look back. It’s a teachable moment for kids, but it also reiterates that just a scarf is enough to make an outfit. Does your child have a flair for fashion? We’d love to know! You can now watch Fancy Nancy on her own TV show on the Disney channel! And for more Fancy Nancy fun and games, click here. This entry was posted in Reading Tips and tagged confidence, fancy nancy, fashion. Bookmark the permalink.